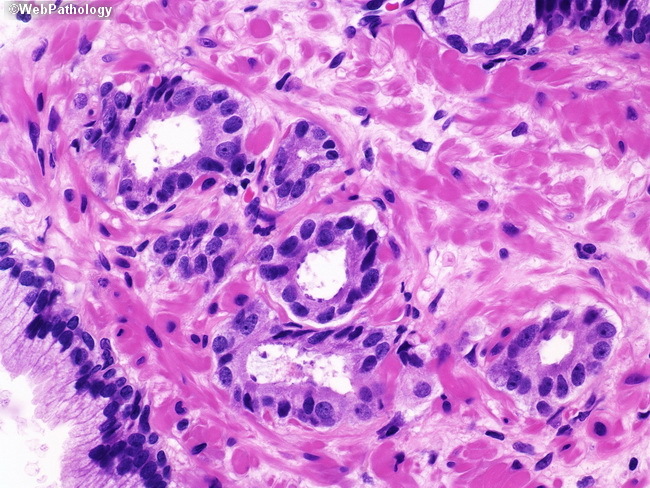 A limited focus of cancer composed of six atypical glands in a prostate needle biopsy. Higher magnification of the previous image. Nuclei are enlarged and show scattered prominent nucleoli. Basal cells are not seen. The findings were thought to be just sufficient for the diagnosis of minimal cancer.